Is there such a thing as a human being full of gratitude? Full of clarity? Because if there was, then to experience this one day would be enough. 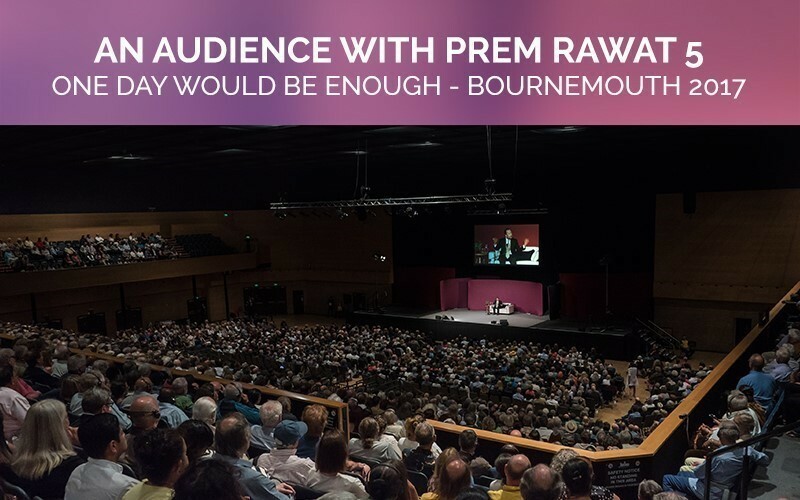 One Day Would Be Enough - Prem Rawat, Bournemouth, 2017 The fifth in our ‘An Audience with Prem Rawat' series of eight audio streams from Prem’s sell-out World Tour. In conversation with a new host at each event, Prem explores a range of themes as he offers his unique perspective on the pathway to peace. He also addresses burning questions from the audience.